Wow. 2018. In many respects a very, very challenging year. But now it’s done, and I lived to tell the tale. Here are my high points, some of which were pretty freaking high. I probably don’t need to go into detail on this one. But this dream has come so comprehensively true in so many ways. It’s actually a whole lot of dreams all bundled up together and tied with a giant bow. Dream publisher, dream editor, dream cover. And it’s still not over. February 12 will see TBH come out in the US, and while that’s obviously a 2019 thing waiting to happen, all the legwork for that happened this year. And again, another dream publisher, another dream editor and, oh my stars, another beautiful cover revealed. 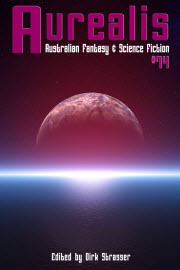 I didn’t have any of my own short fiction published in 2018, but that’s OK. Because I published a whole 19 pieces of other people’s short fiction! Along with the very lovely Chris Large, my co-editor for A Hand of Knaves, and with the backing of my wonderful writing community, the CSFG. It was a big job, along with running the crowd funding campaign, and the learning curve was a big one. But we produced some really, really good fiction, and I love love love the art Shauna O’Meara created for us. Some stuff you just have to figure out for yourself. Like exactly how busy having a novel published is going to make you. This year has just been one giant learning curve for me, and central to that has been the age-old metaphor of the straw that broke the camel’s back. And it really has been a case of tiny things building up to form an intolerable burden. Which has been a hard thing to learn, because I like doing lots of stuff. But realising I have limits, and making some changes in my life to reduce my personal quotient of straw back to a manageable degree has been an important thing this year. I’ve been doing a bit of journalling (examples from my journal above) and this has helped me get my head around getting stuff done. And helps to remind me about what I’ve actually achieved as well! One of the consequences – and frankly, one of the warning signs – of being so busy this year is that I didn’t get anywhere near as much writing done as I wanted. And trying to rekindle the creative spark is almost impossible if you’re a bit burned out. So in October I gave myself a month off writing and just read. This worked a treat, and really reminded me of exactly why it is I write: because stories are wonderful. I also really got into audiobooks this year, which seriously helped me get through my TBR. So here are some of my best favourite books I read this year, in no particular order. So charge your glasses and here’s to the end of 2018, and to all the possibilities and potential that lies ahead in 2019. Wishing you and yours the very best of all of it. I’m officially on my Christmas holidays as of now. Not being religious, for me this holiday is all about spending time with family, taking stock of the old year and looking forward to the new and taking a break from my day job. It is, however, a time of year when I traditionally do a heap of writing, so wish me well on that, won’t you? Whether you’re somewhere cold or somewhere warm (like me), and however you celebrate the end of the old year and the beginning of the new, I wish you a safe, happy and relaxing break, and I hope you get to spend it with people you love. I have just come back from Hobart (again – love that city) and immersing myself in the craziness and unearthly beauty that is the Dark Mofo festival. Technically I was there for work – and for those who are raising an eyebrow, I did spend Thursday and Friday in almost back-to-back meetings. Then I had another one on Saturday morning. But… That did leave me with my evenings free to sample the delights of this deliciously wintery festival of art and food that literally paints this city red for two weeks leading up to the winter solstice. This is a musical artwork produced by Byron J Scullin, Hannah Fox and Tom Supple that is played out across the city of Hobart every day at sunrise and sunset. It’s almost impossible to describe this ethereal piece, but the ABC as put a sample of it up on their Soundcloud. The only problem is that this recording is tiny and incredibly intimate compared with how it sounds when it is played out across an entire city at dawn and dusk. I especially loved listening to it in the morning, still half asleep, curled up in my hotel bed. It’s a slow wash of music that seeps irrevocably into your brain so that you keep hearing the ghosts of the harmonics for hours afterwards – in the drone of the bathroom fan, the hum of traffic. This gigantic, cat’s cradle of laser light based on sacred geometry, is the brainchild of Chris Levine, and is accompanied by an immersive soundscape by Robert Del Naja of Massive Attack and Marco Perry. They waft smoke through it, and the sheets of light carve out slices of coloured smoke that look like some kind of psychadelic, time-lapse cloud photography. I kid you not, I stood outside in the freezing effing cold watching this for over an hour on Friday night, I was so entranced. Then I went back and did it again on Saturday. Here’s a little sample from Friday. So this was a total lucky dip exercise for me and totally blew my tiny mind. I had no idea what to expect. Anyone who knows about Mogwai will probably read this and go “Duh!”, but it was totally transporting. I can certainly see that to some, this kind of music is the worst kind of white noise, and to tell the truth, I probably couldn’t sit down and listen to a recording. But live in concert? Oh man. There is something intensely exciting about watching master musicians play live. Their sheer skill is thrilling, and the paradox of they way they are so tightly focussed on what they are doing as to be almost oblivious to the audience, yet at the same time inextricably linked to the way the audience is experiencing the product of their skill is fascinating. On several occasions one or more of the band members turned their backs on the audience entirely. As far as I can remember, only one of the band actually spoke to the audience and that was simply to thank the audience for their applause after each song. He seriously said about 20 words all evening. But the music itself… Wow. It was like being caught in a waterfall of sound. And Mogwai controlled the flow with absolute precision. Each song was carefully crafted around a build up to a blindside of sound that was euphoric. There was one song towards the end where people were standing around me with their heads thrown back and their eyes closed. I wanted to see this so badly. This was a production of Sleeping Beauty that combined the talents of the Tasmanian Symphony Orchestra, the Victorian Opera and the Terrapin Puppet Theatre. Each character in the opera was represented by both a larger-than-life puppet and an opera singer. It was stunning. I found Sleeping Beauty’s mother, the Queen, incredibly moving. She literally fell apart with grief when the Green Witch cursed her baby daughter. I’ve got a real soft spot for fairy tale queens. They often seem to get a very rough deal. Valued only for their beauty and their baby-producing capacity, so many fairy tales revolve around the queen’s difficulties and mounting desperation to fulfill the second part of this bargain. This queen started off looking extremely young – probably not much older than her daughter was when she succumbed to the curse – but aged visibly during the story. Even the way her skirt hoops are visible under the ragged silk of her dress speaks to her fragility. And to offset all that art, there was the food. Just for context, Hobart is a city where it is supremely easy to find delicious things to eat. But Dark Mofo’s Winter Feast is a smorgasbord of delicious food and drink and smells and music all soaked in crimson light.